Should you need a fast Scottsdale roof repair company. Call the experts at Triangle Roofing Company that have knowledgeable Scottsdale roofers. More so they pride themselves with every Scottsdale Roof Repair. Furthermore guaranteed to leave your Scottsdale roof repair covered for all roof leaks. Finally a residential and commercial roof repair company covering Carefree, Cave Creek, Fountain Hills, Paradise Valley, Phoenix, Scottsdale AZ. Proper leak detection is the most critical part for any successful Scottsdale roof repair. Let the experts locate each leak area in need of repair. Provide for a long lasting roof repair. Serving Carefree, Cave Creek, Fountain Hills, Paradise Valley, Phoenix, Scottsdale and surrounding areas. Call the professional roofers for a quick Scottsdale roof repair today at 602-843-7663. Get all benefits from 25 plus years of experience in re-roofing and roof repairs. More so experienced roof leak detection for foam, metal tile, roof coating and shingles as well as flat roof leaks. Finally get the knowledge to take care of the roofing on your home or business from a reliable roof repair contractor. 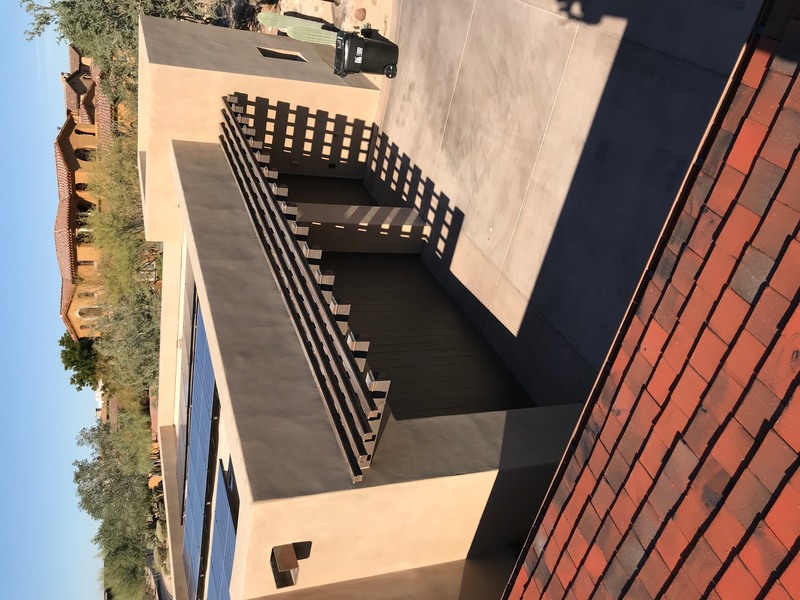 As a result this Scottsdale roof leak repair company specializes in cost saving roofing repairs, installations, and maintenance. Roof leak repairs for all residential and commercial properties. Further more no matter how large or small your roof leak repair is. Let us resolve your roof leak problems. Call a Scottsdale Roof Repair Company that makes house calls! Have a leak? More so, call your Scottsdale roof repair company at 602-843-7663 to benefit from our over 25 years of experience. For roof leak detection, roof repairs, and roof replacement services for foam, metal tile, roof coating and shingles. Also Specializing in flat roof leak repairs that need leak detection. Call today for professional roofing services at 602-843-7663 Scottsdale, AZ. Let experienced roofers handle all phases of your roof repairs. Including roof leaks and maintenance for all roof repairs. Plus complete service for residential and commercial clients. Covering areas from Desert Mountain, DC Ranch and all surrounding communities. Roofing contractor that is state licensed for all roof repair projects big and small. Insured and has 25years of experience in the industry. Cal to get all your questions on roof repair projects big and small. Scottsdale Roof Repair Company answers all calls on a real-time basis. Quickly and effectively resolve your roofing problems for your home or business. A Scottsdale Roofing contractor that specializes in fixing roof leaks quickly. Saving you the high cost normally associated with roof replacements. In many instances, a simple repair can resolve the problem. Rather than the high cost of a roof replacement. We can thoroughly and effectively fix common roof leaks. In addition on flat roofs with flat roof ponding areas. Hence our waterproof roof coatings fix most residential and commercial roof leaks. Contact us at 602-The-Roof or 602-843-7663 for fast and efficient roof repairs today. Before repairing your metal, tile, foam or flat roof. Contact the expert installation services from Triangle Roofing Company in Scottsdale, AZ. Hence contacting a roofer near by can lead you in the right direction on roof repairs. The roofers at Scottsdale Roof Repair Company have been serving the areas of Scottsdale since 1993. We pride ourselves on always putting the customer first and encourage you to contact us today for your roofing services. 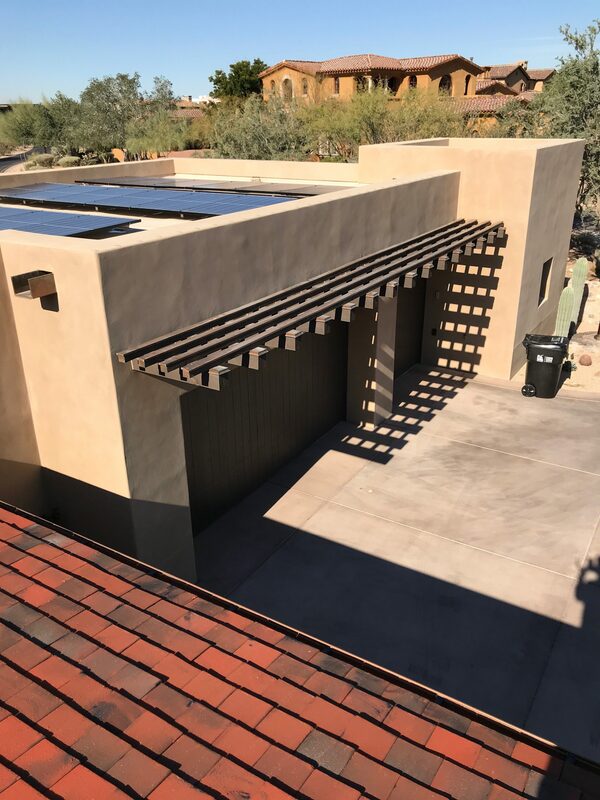 A real Scottsdale roof repair company will never oversell our clients and we offer competitive pricing and high-quality workmanship. A hallmark of our success lies in the fact that many of our long-standing clients prefer quality roof repair. They refer many new clients to us throughout the years. As a result this Scottsdale roof repair company takes tremendous pride in our work. While going to every length to satisfy your roofing needs no matter how big or small. When it comes to roofing. Roofers at this Scottsdale roof repair company treat every situation unique. More so look for the best and most cost-effective solution in resolving your situation. Quality roof repair and your complete satisfaction are the standards that we live by. Whether you need roof repairs or a brand new roof. Triangle Roofing Company is a simple phone call away. Let our experience and expertise be put to work for you. Join our list of satisfied clients. Our quality roof repair contractor looks forward to serving you. Call today for top-quality roof repair services. The Drew and crew at this Scottsdale roof repair company. Really pride themselves on always doing what is in the best interest of our customers. No matter how big or small. Our roofers offer prompt reliable service with the highest degree of expertise. More so, professionalism at satisfying your roofing needs. Call Scottsdale Roof Repair Company today at 602-843-7663. Benefit from our 25 plus years of experience in re-roofing, roof repairs and contracting and leak detection for shingles as well as ponding flat roofs.